John Seed interviews Eve Aschheim on the occasion of her exhibition Drawings and Photograms at Lori Bookstein Fine Art, New York, on view through October 15, 2016. 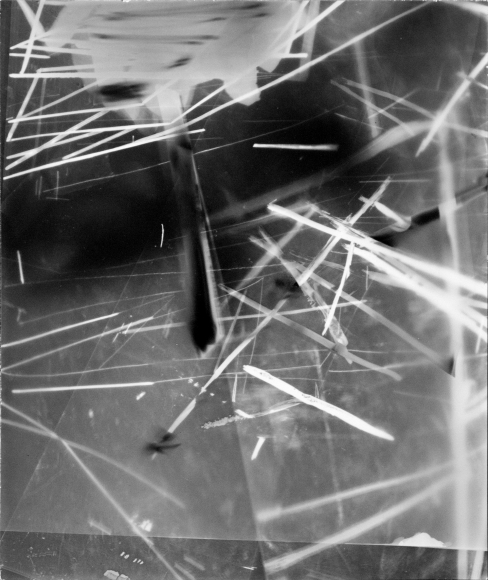 Aschheim remarks: "[The photograms] began at the instigation of Emmet Gowin, a Princeton colleague, who thought we could shine light through my mylar drawings to make photograms. It reveals the hidden life of the drawing: a kind of x-ray. A trace of past decisions shows up, things not visible in the finished drawing: pencil lines under white gesso for example... This is the first time I am showing the drawings and photograms together in New York. The relationships between the two have gotten more complex. Some photograms are relatively direct transcriptions of drawings and other photograms are created in the darkroom and have no specific intact source; they are made in many different ways."